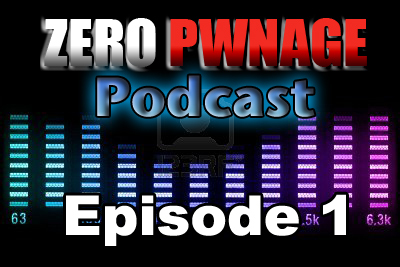 The first ever Zero Pwnage Podcast has been posted under our Podcast section. This is a pilot episode so we are still working all the kinks out. Unfortunately we were plagued with audio issues and recording issues. Future episodes will be more refined. In this episode we discuss our favorite games of 2011 and announce our own personal Game of the Year as well. Stay tuned for more. We are excited to hear feedback from our listeners and fans. Feel free to tell us what you think by emailing us at zeropwnage12@gmail.com.